Bivocational pastors have two full-time jobs. They are fully committed both to their churches and their vocational jobs. 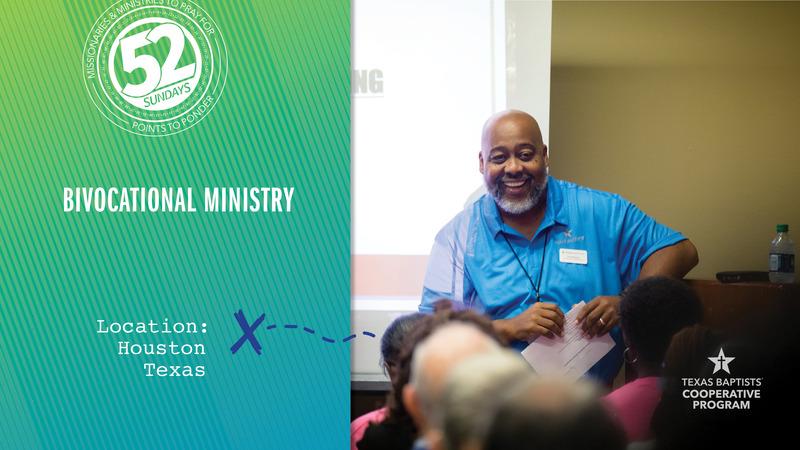 Texas Baptists Bivocational Ministry exists to encourage and equip these pastors, Ira explained. “They may not have a formal theological education, so we do training and equipping workshops on weekends,” Ira said, adding that another challenge these pastors face is finding balance in their lives and getting adequate rest. When our church gives through the Cooperative Program, a portion of your offering allows Ira to facilitate and build relationships with bivocational pastors. Today, let’s pray for Ira and the bivocational ministers he serves.